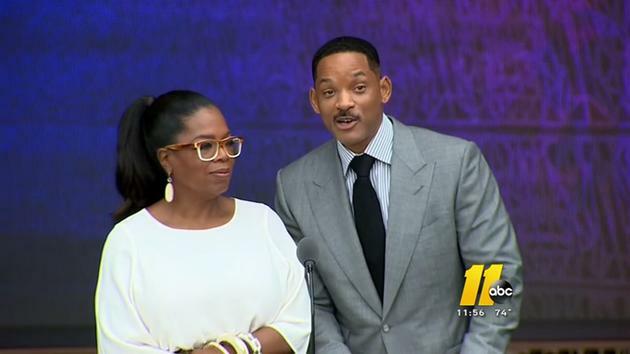 The opening of the Smithsonian's new African American History and Culture Museum brought out some big celebrities. Actors Robert Di Nero, Angela Bassett, and Oprah Winfrey were all there. Winfrey, 'The Queen of Television,' was one of the museum's largest donors. 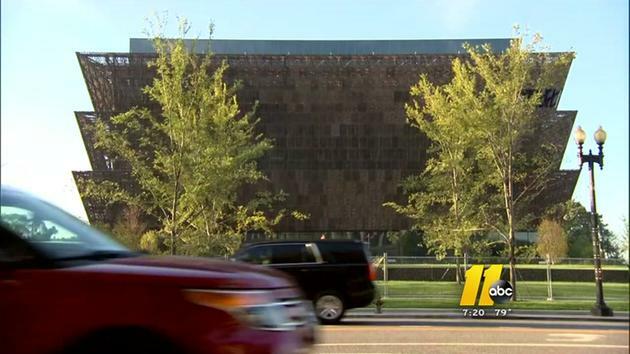 "This building is essentially a crown," Winfrey told ABC11. "It's the crown that's been paid for, so now we, as a culture, need to put it on our heads and wear it." The 10-story bronze structure which sits next to the Washington Monument costs more than $500 million dollars, and took more than a decade to build. Private donors covered most of the bill. Winfrey's foundation shelled out more than $20 million dollars. "From the beginning it wasn't about being a donor for me-it was about making an investment for the future," Winfrey stated. "I think our generation up until this point has not done a good job passing on to young people a sense of the price that was paid for who we are and where we come from, and the path that was created." Other celebrities contributed their talents to the museum's grand opening. R&B legends Patti Labelle and Stevie Wonder sang. "We're living history and I think that the key is that we keep history going in the right direction," said Wonder. Actor Will Smith recited words from a civil rights hero. "A man cannot ride your back unless your back is bent. So said Dr. Martin Luther King Junior." Three thousand people toured the new museum, the maximum allowed each day. Leroy Lindo from San Francisco was lucky enough to grab one of the sold out tickets. "We'll be there at 5:15 p.m. Can't wait!" Lindo stated. North Carolinians can be proud of the museum. Artifacts from civil rights leaders, entertainers, educators are on display. Congressman G K Butterfield says exhibits will show African Americans experience through slavery, civil rights and beyond. "It tells the African-American story in its entirety," Butterfield says. Architect Phil Freelon of Durham led the design team. "It's about celebration, resilience and it's about triumph," Freelon says. His team, Freelon Adjaye Bond and Smith group, spent nine years working on the 400,000 square foot masterpiece which sits on the last five acres available on the National Mall next to the Washington Monument. Freelon says the 3600 bronze panels are inspired by iron-work from Charleston, Savannah and New Orleans, where African-Americans were slaves. Terry Arwood of Raleigh came to see the new museum. He enjoyed President Obama's message of unity and inclusiveness during the opening ceremony. "It's certainly historical and a proud moment for all Americans," Arwood said. Melanie Frank of Durham came with her Jack and Jill group to experience everything the museum offers. "I want to learn more about me and where I come from." Museum leaders estimate 3 million visitors will come to the museum in its first year.